Ms Hotness Alejandra and I decided to take a spur-of-the-moment trip. this time around, we set our sights to the state of Maine. We were totally impressed that it had lots of natural sights and places to visit, so we made a list of some of the things we wanted to see, and then shrunk the list down to the ones we really really wanna visit. We book our hotel and our flight, and decided to stay in Portland, Maine, which has a lovely airport (mind you, is not huge like JFK or LAX but is picturesque). We normally book on Budget and Thrifty, but they didn't offer a compact and green efficient car (later we discovered that we were upon lobster month, more to that later! ), but I was glad that our amazing super duper site rentalcarmomma offers discounts on every MAJOR rental car company. finally, we found our car in Hertz. 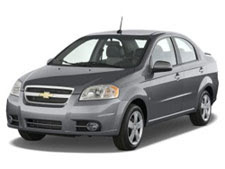 We got a Chevy Aveo, which is a compact car and very gas-saving, plus a very nice drive, I shall say. As usual, we like to stay and relax the first day. in that way, we kinda get the feel for the people and the "speed" of the town, plus we tend to feel what is like to be a local, even tho we are not. So, our first stop was a sightseeing tour. we drove north in our Chevy Aveo (a briskly drive, I shall add) taking the panorama around us. You can see the coast to the east, and then in the background towards the west, you can see the mountains, which will be a lovely scenic picture-taking spot. Once we arrive in our location, we headed to the docks where the Maine Boating Adventure's crew was waiting. Inside the boat, we take our seats, which were comfy and they were padded, so it was wonderful. The tour takes us around the Maine coast where we visited places of wonderful views. As you all know, Ms Hotness Alejandra is a major photographer graduate, so she was with her professional camera snapping pictures here and there and at all angles. Me? you ask, I was with a point-and-shoot pocket Olympus camera, and for little moments I took my HTC Sensation and took a few more, so I can easily post it in Facebook! We saw seals, some lighthouse, there was a porpoise, and early morning we saw a lobster boat heading to the open sea, which was pretty cool cause you can see the captain manning the boat and the crew busying heading from one side to another getting ready for the action!